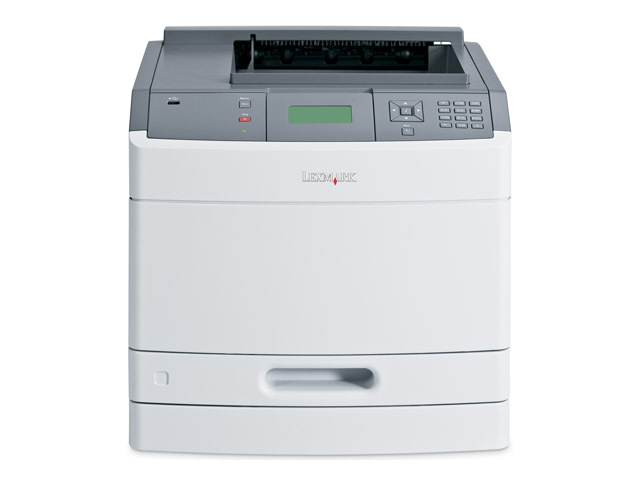 A reliable high-performance partner, the Lexmark T650dn is ideal for demanding mid-sized workgroups. It’s easy to use, simple to set up, prints up to 43 ppm and and helps you save paper and money with duplex printing. Backed by an award-winning sixth-generation print engine and Lexmark’s proven track record in product innovation, these rugged workhorses ensure maximum uptime while reliably delivering fast, high-quality pages year after year. Introducing the new Lexmark T650n Series, a robust range of workgroup printers that are built to last – and keep up with your heaviest print volumes. The Lexmark T650n Series offers you a wide range of intelligent features that help you maximise uptime, save money and work more efficiently than ever before. Like all Lexmark business-class printers, you’ll benefit from Lexmark’s solid service guarantee of 1-Year Onsite Service, which provides you with next-business-day response. Now you can have a truly reliable solution that meets your highest expectations! Start accruing the benefits of a printer with the real power to perform. With the new redesigned Lexmark T650n Series, you can now own an office machine that pushes quality and performance to truly impressive levels. 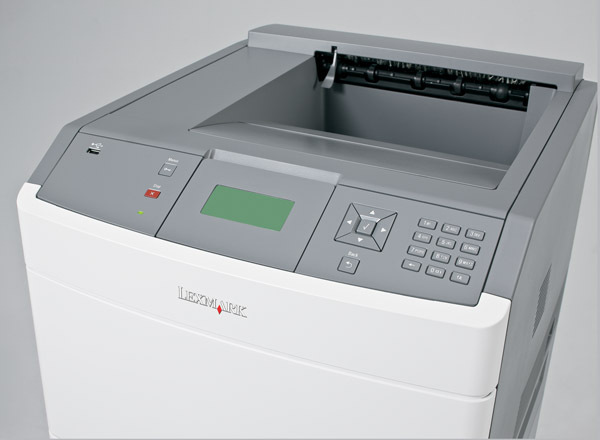 Robust, ultra-fast and incredibly versatile, the Lexmark T650n Series fits every type of need. Whether you’re looking for a serious performer for high-volume printing or an effective solution for printing on a wide range of media, these powerful monochrome laser printers deliver the ultimate combination of quality, low ownership costs and outstanding reliability. Printing responsibly means everyone wins – your business, your budget and the environment! Lexmark T650n Series printers are designed with sustainability in mind. They’re incredibly quiet and equipped with a range of eco-conscious features to help you print greener at every level. From network security to user-access restrictions, Lexmark makes sure you’re fully equipped with all the tools you need to help keep your valuable corporate data safe and sound. In addition to IPSec, SNMPv3 and 802.1x network security, the Lexmark T650n Series offers an alphanumeric pad for easy PIN authentication, plus encryption and disk wiping to secure the optional hard drive. When you purchase a high-performance workgroup printer, you expect high-performance results and that includes flawless print quality. The Lexmark T650n Series combines true 1200 x 1200 dpi with automatic darkness adjustments and pixel-boosting technology, ensuring you high-quality, professional documents every time. Take a load off your IT department. These printers are network-ready and very easy to set up. If you have multiple Lexmark devices installed, the Lexmark Universal Driver offers even easier deployment. And Lexmark MarkVision™ Professional software provides simplified remote management and automated tools to keep your workday flowing! One person’s setback should never mean a bottleneck for the whole workgroup! Say someone launches a print job that requires labels, but there are none loaded. Why lose precious uptime? Lexmark’s Job Waiting feature will simply hold that job aside while everyone else goes on working without interruption (hard drive required). Every workgroup is different. So why not match your printer to suit the way you work? Benefit from diverse media support plus a range of flexible choices, including leading-edge paper handling.